In Blogger, by default, you have a built-in comment form for each of your posts and pages to grab your readers' feedback. We have already discussed about setting up who can comment on your blog and a lot more topics under commenting. So I hope you already know how Blogger default comment system works and its capabilities. But let me ask you this - Have you ever thought of switching to another comment system? What's Wrong with Blogger Comment Form? Blogger default comment system has been getting attention lately and enriched with new features. Now it has threaded commenting feature too. Blogger developers behind the platform working on improving it. If you are almost satisfied with what it offers, then you don't wanna hunt for a new comment system after all. But when it comes to me, there were few things I was concerned and wish it had. Anonymous Commenting - My blog is open for public and anyone could able to comment on my posts. Yeah, Blogger let anyone comment on my blog. But its Anonymous option really freaking me out. It's not even optional and I have to keep it though I need it or not. So lately I've seen increase in spammy comments made via Anonymous option. Absolutely I can make use of Blogger comment moderation feature before approve them too. But I need more flexibility. No Avatars - Am I kidding? Avatars available for Blogger users, but not for most other users. So I feel like that all other commenters are not familiar to me and have no identity unless I read their names. After Comment Redirection - Blogger it now using latest technologies with enhanced user interface. But comment form it not improved much yet. Each time I publish a comment the page needs to refresh. It's kind of annoying for me. Can't Post Codings - This is another major downside of Blogger comment form for blogs such as mine where mostly deals with HTML codings and users always seeking help with it. Sometimes users post comments with HTML coding and they just disappear after being published. Word Verification - I found it's annoying for me when it comes to comments eventhough it was there for preventing bots from commenting on you blog. However it's optional and Blogger let you disable this feature. What is Best for Blogger? There are numerous comment platforms which compatible with Blogger and you can easily implement and configure them if you are ready for it. But as I go through 3rd party comment platforms, I found some incompatibilities related to Blogger platform. It's actually not about commenting, but about how it deals with Blogger platform and existing comments. As we jump to another comment platform, we have to think what if we needs to come back to default one someday. If you have implemented a 3rd party commenting platform on Blogger rightaway without identifying its incapabilities, you will stuck in the middle and you have to get hard decisions later. So before you go, I did it for you. Oh... Let's say I did it at least for me. When I was considering comment platforms, I've had few absolute features in my mind that I need so badly. I think you may agree with them too. As I research more about comment platforms last week with above mentioned criteria in my mind, I've come across few really interesting free comment platforms - Facebook, IntenseDebate, Livefyre and Disqus. I know Google is working on comment social plugin as Facebook did. But yet I can't see it coming. Now even you can count on Google+ comments too. As you might know, I can't afford premium plugins and compare here. Yeah, I can find sources and compare, but I can't purchase them all and try out. I don't have faith in writing them without trying them out either. So I didn't. Let me know if you have another interesting platform for Blogger too. However my last favorable choice was Disqus. The primary reason that I'm not fond of Facebook, IntenseDebate or Livefyre is that they are lack of reliable comment importation and migration capabilities. Even IntenseDebate has such features, the time I write this post, they are buggy and unreliable as I found. However I don't like its look and feel either. It's bulky. So not for me, yet. But they are great if you are starting out with your new blog, don't think of existing comments and / or not gonna switch your domains. Else you might have to struggle more and blame others for your choice. Disqus was able to fulfill most (Around 90%) of my requirements I listed above. Especially comment importation, migration, avatar and anti-spam features impressed me. I don't think you want me to run on them again in detail. However except for my fulfilled requirements, here I would like to list out additional Pros and all Cons I've found. 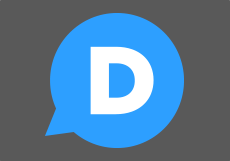 ○ Disqus made available to works even with Blogger mobile templates. ○ If you have already enabled Blogger mobile templates for your blog, Disqus doesn't integrate with your mobile comment form and mobile users will see Blogger default comment form. So you have to get rid of mobile templates. ○ If you were using Blogger threaded commenting feature on your blog, then after importing existing comments to Disqus they will not displayed as threaded anymore, but list them all one after another based on time it was made. ○ Blogger avatars on existing comments will not show up after importation and will be replaced with default avatar. ○ You can't preview comments before posting as you did on Blogger, but you can edit them anytime after posting. Guest commenters can't edit their comments later if they logged in with different IP address next time. ○ No smilies or emotion icons available. So I hope now you can find why I've selected Disqus for my blog. If you wanna try it out, you may take all those factors into consideration before you step in. In addition to above features, Disqus has comment analytics, ranks, realtime updating and more add-ones if you would like to pay for them. If you wanna add more add-ons for your comment platform, you can check out other Disqus add-ons packages. However I'm happy with Disqus on my blog now. * Make sure your blog has set up for anyone to comment. If you don't know how to, read How to Set Up Who Can Comment on Your Blog in Blogger. * If you are using Google+ comments on your blog, you need to revert it back to default comment system before you install Disqus comment platform. 1. Register your blog with Disqus and enter your personal information to create an account for you at Disqus sign up page. Then click Continue button. Note: If you have already signed up for Disqus, click on Already have a profile? link under Primary Moderator to login with your existing account and register your blog. 2. Now you will be directed to the installation page. Click on Blogger icon. 3. You will get Install Disqus on Blogger page. As you have already finished with first two steps, jump to 3rd step on the page and click Add site "Your Site Name" to Blogger button. 4. Right after, you will get a new browser tab or page to add Disqus widget to your blog, click Add Widget button to add Disqus widget on your blog layout and your Blogger comment form will be replaced by Disqus widget immediately. 5. Now view an individual post in your blog and see if Disqus is in action. * If you have any problem with displaying Disqus comment form on your blog, you may see Blogger Installation Help, try Disqus Support or feel free to shoot me a comment. * In case if you can't see Disqus working for you, don't jump to next steps. Continue with next steps after you confirm that Disqus is rendering on your posts. 6. If you have existing comments on your blog and wanna import them to Disqus, follow steps below. And also you can synchronize new comments made via Disqus with your Blogger account too. Note: If you are not interested in any of those features, you may skip this step. But I highly recommend enabling comment synchronization feature eventhough you don't wanna import existing comments. This process will import your existing comments to Disqus and they will start to appear with Disqus on each post after completing importation. i. Come back to Install Disqus on Blogger page and navigate to Tools tab. ii. Jump to Import tab and click on Blogger. iii. Now click on Import Comments from Blogger button. iv. Now Disqus will need you to grand access to Blogger. Click Grand Access button on the page and it will import your existing comments and will let you know via email at the end of the process. * Usually they claim that it will take up to 24 hours to complete comment importation process. But for me it was about 18 hours and if you have small number of existing comments it may be even quicker. If it takes more than 24 hours, you may check Disqus System Status to see if something wrong with Importer. * Don't try to import again once after you requested to import and wait until it finishes if you wanna import again. Else it will takes more time to complete the process. This will sync your new comments made via Disqus with Blogger. So you will be able to access all comments via Blogger Comments tab too. However deleting a comment from Blogger Comment tab won't reflect in Disqus, and vice versa. i. On Install Disqus on Blogger page and navigate to Tools tab. iii. Click Enable Syncing button to keep comments on Disqus synchronized with Blogger. Note: You will have to grant access to your Blogger account. 7. Now navigate to Settings tab. 8. Go through available tabs and make necessary changes as you preferred. Settings are quite understandable. If you have no idea about a setting, go through help documentations before make changes. Changes will be reflected on your implemented Disqus comment system. General - Here you can changes basic settings, add/remove features, change permissions and email notifications, and delete your site from Disqus. * If you wanna enable Akismat feature for additional reliable spam protection, you need to grab an Akismat API key. Akismat is free for personal blogs. Go to Akismat sign up page, select Personal plan (You can select other plan if you wish to enhance spam protection) and provide your details while settings contribution to $0.00. After submission, you will get an email with Akismat API key to use with Disqus. * If you wish to gain extra control over Facebook login on Disqus, you can provide your own Facebook Application ID or API key. Read How to Create a Facebook Application for Your Site to create new app and grab API key. Moderators - Here you can add or remove moderators and set up settings related to comment moderation. Blacklists - Here you can restrict publishing comments with specific words where moderator needs to approve them. Also you can block suspicious commentators and allow trusted ones using their email, IP address, username or domain. Appearance - Here comes favorite part. You can change theme of your comment form and various attributes related to Disqus comment form including avatars, position, date/time formatting, threading and more. * If people comment using Guest commenting option and not signed up for Gravatar yet, ask them to sign up for Gravatar and upload their profile image to show up as their avatar when commenting. Gravatar is a widely used platform to populate avatars for users when commenting on sites. * If you wanna disable commenting on a specific post page, you won't find specific option at Disqus settings. As it's integrated with Blogger, just follow same old method to disable comments on post pages. Read How to Enable or Disable Comments in Blogger. * Did you find that comments are posted via Blogger comment form, instead of Disqus. It happens if you enabled mobile templates and Disqus not integrated with it. Now Disqus integrates with mobile templates for new Disqus installations. But if you find it's not working with your mobile templates, you need to do a simple tweak which is mentioned here ~ Manually enable Disqus in Blogger mobile templates. i. Navigate to Blogger Dashboard. iv. Click Edit HTML button underneath your blog preview. v. Now search for the word disqus in your template. * You can install Disqus on multiple blogs and manage via same user account. Just register your new blog and follow steps from the scratch. * Navigate to Disqus Dashboard and click on your blog name from left pane to moderate comments, find related tools and widgets, and to access settings for your blog. Note: Also you can access basic moderation options for each comment while on the comment form. Just click Moderate link appears beneath the comment after hovering it and a pop up will appear with basic options. * If you are experiencing any issues with Disqus on Internet Explorer, you can resolve the issue by following this tutorial - Resolve Blogger Compatibility Issues with Microsoft Internet Explorer. * Thanks Vinay Prajapati and Michael Hazell for adding further information at the comment section on improving this tutorial. That's a really good post with fantastic details on how to install Disqus. I like the fact that you take these measures and then pass on the steps needed to help your readers follow suit. Great job Mayura, take care. Mayura, you really did your research on this one! I haven't decided yet - reading over your cons for my smaller blogs here on Blogger. I am thinking about it. Love how you highlighted the pros and cons on this one. And the directions look easy enough for me to follow too. I had to be detailed on this one :) My most of existing tutorials don't need much effort. But this is challenging. You know, it's about migrating with comments to another new platform and you never wanna lose them. It has a greater risk when it comes to selecting suitable comment platform and I should responsible of what I'm talking about. I agree with you mate :) We all trying to help others in many ways. no? Well I share what I've tried and what makes me satisfied. You know, I have to help out techies and non-techies with my posts. So it would always better to be simple and use instructions easy to follow :) That's what you always do at your blog when you share tutorials. Right? I think you will love Disqus on Blogger because of its pros and yeah, you should think about cons before you go. I've really compared Blogger comment features with others and most are doing pretty well. But when it comes to switching platforms, most of them don't have back up plan. So I give up on others, but Disqus. Yeah dear, yet, CommentLuv is only possible with IntenseDebate in Blogger. But, it's not clean and decent like on WordPress. So I've contacted both CommentLuv and Disqus to ask about it. Disqus guy said they has no any option on Disqus like CommentLuv and CommentLuv one said they don't support Disqus yet in any other way. Whatever it is, I think Disqus taken this idea into their consideration and I feels like they will work on it with their own add-on. Let's hope for it. Yeah, that's true. CommentLuv is cool though. One can only hope Disqus gets something similar for its application. Yeah, Let's hope they will come up with one like CommentLuv. If they do, it will be really cool. Hmm why did it go to spam? That doesn't make sense. Well at least I know my yahoo mail wasn't having some hormonal hot flash or something. haha Have a great day luv! That's strange ;) Let's see if it happens again dear. I ll let you know then and will contact support rightaway. Hi Mayura, I am so happy I have met you via Adrienne Smith! This post is amazing. It is an entire tutorial on how to install Disqus. Talk about the go-giving process, your content is wonderful. Here you have explained the entire process so well, even I can understand it. BRAVO! Really glad to meet you too dear :) Yeah I had to work it all and have to be more clear when it comes to writing for all bloggies out there, though they are techie or not. I must admit that sometimes I mess up with this stuff too ;) All you need to do is finding best source and trying yourself. Try & fail, at last you will succeed. We should not fear to fail if we are learning from them and if we have will to succeed. Right? Especially when it comes to online, you have more room to fail and it's not a disaster. This is great information! I wish these options were available when I was using blogger. I comment on a number of blogger sites and I do prefer when they have discus installed. I've seen it on your blog too, so no wonder why you love Disqus. I install Disqus but my comment wil not showing in source html page can you help me. Did you import and enabled sync option after adding Disqus? :) Older comments will take time (Up to 24 hours) to import and appear on your pages. If you are talking about a new comment made on your blog after implementing Disqus, go to your Disqus account and see if there is any pending comments. If your comment is in pending section, you have to approve it. Thanks... was looking for enabling disqus comments on static pages.. worked perfectly! hey, there is something that keeps bugging me, I managed to put the number of comments under the title of the post, now because of disqus I have the number of comments under the labels, down under the post text, how do I remove and leave just the one under the post title ? See the attachment for reference. 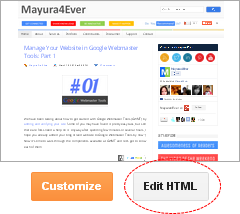 You can remove it from Layout tab by editing Blog Posts element mate. Untick Comments option and the comment link under post will be disappeared. nope, i tried that, if i untick the box it disappears from both places. Ohw :) Then you have to find exact code you placed under title of your post to display comment label and remove next one available in your template mate. Thanks a lot for this post. I installed disqus comment-platform according to your guidelines. Thanks again and Wish You All the Best! That's awesome. I hope you are finding Disqus commenting platform much useful than standard comment platform due to it's features. However it has few lacking features too. But I hope it doesn't matter as it's much suitable or Blogger blogs. Wonderful post-by far the most detailed and helpful I have come across! I just added Disqus to my blog...now patiently waiting for my import to complete. Cheers! Just wanted you to know it imported perfectly and looks great! It seems so much nicer visually than the Blogger comments. Thanks again! Will be this tutorial also valid for self hosted Wordpress blogs? As heading reads, it's for Blogger mate. Some steps may common for both Blogger and WordPress, so if you can catch up steps which only refers to Blogger, yet you can still refer and implement on your WordPress blog. However you may find tutorials specific to WordPress on the web. So I recommend referring a post written for WordPress before referring here. Con #1: Spammers love disqus commenting system. Ha ha... That's great :D Spammers love any commenting system. They are just crappy promoters. I get spammy comments with links everyday and like a magic Disqus and Akismat block most of 'em. So I don't need to delete them as I did it on Blogger comment form everyday and yet time saving. Oh no mate :) It doesn't import comments on static pages. As I mentioned, it's a problem with Disqus. I've contacted Disqus and they claim it should work on static pages. But still no respond after that. I think still they are working on it. Don't know how much time we need to wait to hear about a fix. I ll update this post right after if I get a positive reply with a fix for that from Disqus. Until then, if you wanna use Disqus, you have to follow alternative tricks or just use it on post pages. I have a question: if you set Disqus for static pages, aren't they importing comments from too ? I see you didn't set Disqus for your static pages. I know Eugenius :) It's all because of loyal readers and I'm really excited to see more reader engagement on my blog. Thanks for your sincere compliments mate :) I really appreciate it. You're welcome mate :) Glad you make use of it to implement Disqus. Make sure to enable syncing as mentioned in the post. Disqus comments will sync with your blog and comment count will show off real number of comments. If you have already enabled sync feature and sync comments, then it may be a problem with your template. Contact template designer. Woohoo... You've made it ;) Enjoy Disqus on your blog Moltabocca. Actually if you have enabled mobile version of your blog, people would be able to comment using default comment system when they read via mobile dear. So if you wish to enforce them to comment using Disqus, I recommend you to disable mobile version of your blog. You can find how to access mobile settings here ~ How to Enable Mobile Version of Your Blog in Blogger. hey admin i am in a deep trouble i came to know about disqus and i added it to my blog also from the original disqus website but i have a problem i tried commenting from disqus and i commented also in my original blog but when i reopen my blog it shows 0 comments and my comment is not there. i approved my comment from my disqus id also plzz help my frnd.. The most possible reason could be your comment is in moderation list mate :) Did you able to see your comment in "Approved" section? Check "Pending" or "Spam" sections too. Sometimes Disqus may have delays in showing comments if you implemented comment system just now. I have installed a Disqus comment box on my blog. However in order to make a comment you must first click the blogger...0 Comments and 0 Reactions... to get the Disqus comment box to appear which defeats the purpose. How do I get rid of this so just the Disqus comment box is there? If you display comment form on homepage, your blog will be laggy and homepage is to display recent posts of yours. Your readers can click on interesting post and comment afterwards on the post page where only specific post will appear. Thanks I wasn't aware of that. Hope my readers are. Mayura De Silva Wait! You can have Disqus working on your mobile blog template. I made a truly superb post on my site about this, and it has helped plenty of Blogger users wishing to install Disqus comments on their site. The post is relevant, so please don't consider this as spam. Hope this helps everyone. Disqus has a very powerful spam filter. You can choose to use akismet, but by default you should never need to use another spam protection system because akismet is known for flagging false positives. Not really. Disqus has their own instructions for installing Disqus on WordPress self hosted blogs. Now that's awesome :) Thank you very much for lettin' me know that mate. I'll update the information. I wasn't aware of that. CommentLuv is a comment plugin with many different features and built for WordPress. It works with IntenseDebate too. It can display the recent blog post of commenter beneath the comment which gives some exposure to commenter's blog and help build backlinks too. Therefore more commenters tend to comment on blogs where CommentLuv has implemented and experience those benefits. If you can, you could also give me link credit. But I appreciate the thanks. Yeah now I can see why commentluv is a good idea. Wonder if Disqus will ever integrate with that. I haven't mentioned your link in post mate. If I did, I would :) I'm referring to link in your comment. Yeah mate :) Well, I would not go for that if it's available on Disqus though. It will attract spammers and I had enough with it. You mean when you click on comments link on the homepage? :) Can you drop me your blog URl here, so I'll take a look. Hi mayura, TQ for the info. It's really helpful! However I couldn't find your dummy blog, it may have deleted. When I go to dummy blog it say it's not found :) It's been removed. However other one is working. Can you tell me what happen when you click on Blogger icon as in step 2? I click add widget and new tab opens but it doesn't have the disqus. Oops... Same happens for your original blog too? What happen when clicking "Add Widget"? Nothing at all? If so, there may be problem with Disqus which is out of my hand. If same thing happens on both of your blogs, contact Disqus Support and tell about your problem in detail. Correct. Nothing happens. Widget is not added to template. Hello Mayura, thank you very much for this. :) However, I still can't install Disqus in my blog. :( I use blogger and whenever I try to add the widget, it doesn't do anything. I did follow the steps above, although my blog has a customized theme so that could b it. What can I do now? How do I install it on a customized theme? Can you tell me what happen when you click on the Blogger icon as mentioned in step #2? :) It doesn't take you to next page? Or you can go until Add Widget page? "4. Click Add Widget button to add Disqus widget on your blog layout and your Blogger comment form will be replaced by Disqus widget immediately. " Oops... I've heard of same issue recently too. Did you register lately with Disqus? Anyway close web browser and try it again from scratch. You can try changing template too, but it's risky if you don't know how to apply it again. However if you can, create another blogger blog and try adding Disqus to that blog. If it works, it's most probably your template. Else I think it's best to report your issue to Disqus Support. Hope it works :) You gotta do more manually though. Can you see a Disqus widget on your Layout tab? :) If it's installed correctly it has to be there. Did you have any problem when you installing Disqus? Thanks was a good help in understanding what needs to be done. Thank you for this. I am currently experimenting Disqus right now and I need all the information that I could get. By the way, the "Static Page" hack worked on my page. Thank you very much for this. Very useful. I hope you will love it as I do. Well, it depends though :) Take a look and experiement with Disqus. Ah it's alright :) As you haven't add widget to your blog yet, nothing will change in your blog. So you don't need to worry about deleting or doing anything. Just report your problem to Disqus Support, so they will take a look at your problem specifically and when it's solved, you can try adding widget again. When it comes to Disqus, the reply notifications will be sent to commenters with Disqus profiles. However, if they have disabled notifications on their profile, they won't get any. For others, they have to come visit the page to view reply for their comment. Did you reply for your own comment? :) Then it's possible that you get a reply notification. Thank you! I just switched to Blogger and had hard time figuring out how to make the comment count show on my blog! Replacing the line of code worked like a charm! That's cool dear ;) Really glad to hear things work out smoothly there with no problem. I found your old school blog when I was Google searching to figure out if I can find how many comments I have had in 2013 on Disqus. Do you know of a way where I can find my comment stats? Looking forward to hearing your response. Do they have summaries of the past years( total comments on your blog)? Under communicates it says I have 2609 comments on my blog. Does that mean the people who have commented, right? Well, that's only the number of comments you have made on your blog via Disqus mate :) Not the total number of comments on your blog. Just login to WordPress account (Where you write posts and publish), and you will see all the statistics mate :) It's easy to find. Don't worry, we all are participants of the learning process Dan ;) Learn as we go. How did you enable Disqus comment form in static pages? :) Using a code? Did you enable comment form on static pages using the code given in the post or it enabled automatically when you install Disqus? If you didn't follow instructions under Enable Disqus Comment Form on All Static Pages in this post, refer How to Enable or Disable Comments on Static Pages in Blogger and disable commenting on static pages. Alright :) That's all I need to know mate. Just disable commenting on static pages, so you will find no comment form on pages no more. You can find instructions here ~ How to Enable or Disable Comments on Static Pages in Blogger. Any way to elaborate on this? I've had Disqus for a while, but it doesn't seem to show up on my mobile, while the old Blogger commenting platform does. I've lost a couple of comments this way and can't figure out how to rectify the situation. You can enable Disqus for mobile template. Read Manually enable Disqus in Blogger mobile templates. Of course, they won't remove from Blogger though you imported to Disqus. Hi that was amazing and worked for me! One concern though, where did the profile photos go? I'd love to see the the photos, and my visitors too, i guess. For instance on this comment I cant see my profile photo. Please help. Yay! Glad to hear you have installed Disqus on your blog. Thanks Mayura,trust me this is helpful. You're welcome Job :) I can see you got your profile picture set up. Yap! very smiley as you can see..lol! BTW don't share your email publicly dear. Spammers and hackers would love it. hi there, im here. I think you have removed the reply with e-mail add? thank you so much for that. i am desperate to make it work. Yeah Jasveena, Google+ comments don't save in Blogger and they are only rendered when Google+ comments enabled. A drawback of Google+ comments. I'd suggest you take a look at this post before you decide whether to stay with Google+ comments or install Disqus ~ Google+ Comments. Hi there, can we import the previous comments into Disqus, i mean from G+? Yeah, you are right. They will be back once you revert back to Google+ :) Try Disqus for some time and stick with what's best for your audience. You will know over time. thank you very much I think you viewed my page and it is bad for SEO. Im learning how to do SEO. your blog is wow! You're welcome and thank you :) Well, I wouldn't worry too much about SEO but the value I offer for my readers. Hi there, its me again. I had a few friends saying they cant comment even clicking on G+ to connect to my comment platform. may be something went wrong? I need to sync? Before that, you can try out suggestion in this post and see if it will be resolved ~ Resolve Blogger Compatibility Issues with Microsoft Internet Explorer. Sorry, I don't use G+ to login to any system Jasveena :) Always create a separate login and I was automatically logged in when I'm at your blog. Thanks for the article. I would like to confirm a fact without moving on to add ability to comment via Disqus in my Blogger Blog. My question is that will the old comments on the pages done by anonymous user be preserved. Note that I already use Disqus in my blog but my Disqus setting is currently limited only to Posts . I would definitely like Disqus to show on my static pages but I can take a risk here. Eventhough Disqus can import old comments on posts, it seems it doesn't import ones left on static pages. The comments will be preserved in Blogger and can access via Comments tab, but won't displayed on Disqus. If you revert back to old Blogger comment form, they will be shown again. You are right. I tried it and lost my comments. Btw, I really love Disqus and so can afford to take the risk. Well, they are just not appearing on Disqus mate :) Glad you are fell in love with Disqus and taken the risk there. Discus commenting system is so neat!!! Is there something like commentluv in discus??? Indeed and I love it too :) No CommentLuv option in Disqus though, but you can have it enabled with IntenseDebate comment system. Can I hav discus comment system with intensedebate commentluv option? If I remove after having any comment system wil my comments be deleted??? Ha ha... No problemo dear :) As long as they are related to the post. Disqus is much compatible with Blogger and hence I came up with this post after all the testings I've done with few comment systems. As I mentioned in the post, IntenseDebate had some problems with syncing comment to Blogger at the time I write this post and comments wouldn't exist after deleting the IntenseDebate comment system. 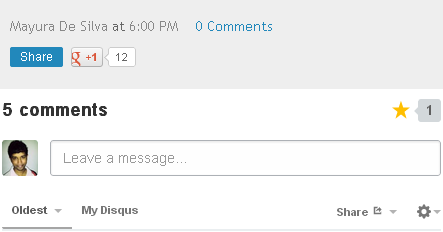 If you are using Disqus, make sure you have enabled Syncing option and your comments will be saved in Blogger. So, you won't lose comments even if you remove the Disqus comment system. U know sometimes,when I click on the discus or G+ button to comment it never logs in,I get fed up after refreshing all nd leave without commenting,do u know why that happens? What if anyone comments through facebook or google will they be notified too??? At times when I try to log in to comment in the system,it just won't comment :( any solution 4 that?? You mean if someone logged in through Facebook or Google on Disqus? :) No matter what, everyone who logs into Disqus system get notifications dear. If you find issues with Disqus in your blog, I'd like to suggest following this post and making changes to your template ~ Resolve Blogger Compatibility Issues with Microsoft Internet Explorer. Are you on Blogger blogging platform? :) Sounds like WordPress to me. If you are on WordPress, leave your question at our Support section and I'll try to help resolve your issue there. Mayura thanks for this guide. There are a lot of comments, it took me a time to read all. I have a problem with disqus comments on static page. After that I have two classic blogger comment form on static page, no disqus comment form. You're welcome :) Seems like you have spotted a different line. I just added a few more details to the step vi under Enabling Disqus on Static Pages, so it will be more clear and easy for you to capture the exact line of code to replace. Can you please revert the change you have made, follow the steps again and let me know how it works for you now? 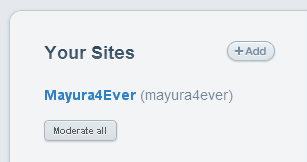 Mayura now is OK. Thanks for new details - it helped me.